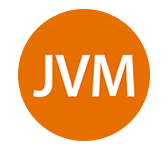 JVM stands for Java Virtual Machine. It is the engine that drives the java code. The Java Virtual Machine is also called as JVM; it is an abstract computing machine or virtual machine interface which drives the java code. This tutorial provides basic concepts of Java and Jvm. JVM tutorial is mainly designed for Java professionals and programmers who seek to learn Java. This Java tutorial series will help you to get started learning JAVA from basics. To learn this tutorial one must have basic Knowledge of C Programming and C++ to understand Java Programming quickly. It will be quite complex if you don’t know programming and you are studying with Java.